Update: An article over at Politico.com sheds some light on why we’re seeing increased chatter about ballistic missile defense. Apparently, missile defense advocates are getting nervous that Obama will ax their program and “missile defense lobbyists are busily trying to build bridges to the new administration to keep the program moving ­forward.” The article quotes one Peter Huessy of GeoStrategic Analysis and the neoconservative Committee on the Present Danger, as saying, “My hope would be that the administration would come out and say, ‘From where we’re sitting today, we don’t want to interfere with the proposal that NATO has endorsed.’” This is not the first time Huessy has publicly expressed an opinion toward President-elect Obama. During the campaign, he was a prolific op-ed writer, including articles with titles like the alliteration-friendly Obama Looking for Osama and the balanced and thoughtful Unwilling to Defend America. Cohen takes his logic one step further, arguing that even if Obama was already planning on canceling the program, “to do so following Russian missile threats would be an unmistakable sign of weakness.” Thus, if Obama does what he wanted to do before Medvedev made his threats, then he is weak. The premise is that even the appearance of Russian influence on U.S. foreign policy decisions is dangerous. Still, if Obama goes through with an expensive and unproven program that he has been publicly skeptical about because of Medvedev’s threat, then Russia is still influencing U.S. foreign policy. Due to Russia’s conventional military weakness, it wants a “pretext” to incorporate tactical nukes into its warfighting strategy, which explains why they chose Iskanders – I certainly agree that Russia’s conventional army is [still] in tatters, as was demonstrated in this summer’s war. I disagree, however, that this necessarily means that Russia intends to use tactical nukes in Europe. Also, the limited use (for ‘de-escalation’) of tactical nukes has been a formal part of Russia’s nuclear strategy since early 2000, and has been a formal part of the U.S. Nuclear Posture since 2002. So Russia doesn’t need a pretext to incorporate tactical nukes into its frontline units, as it’s already allowed for under Russian nuclear doctrine. More important, consider the vast number of other reasons why Russia would choose the Iskander – it’s a nuclear weapon, so it is more intimidating than some random missiles, their range is under 500km so they comply with the INF Treaty, etc. By Using the Iskander Missile Deployment as a Bargaining Chip, the Kremlin Can Further Divide the U.S. and Europe over BMD – well, I guess this is somewhat true, but Russia’s goal is not to divide the U.S. and Europe, it is to prevent the deployment of BMD, mostly by making it too politically costly for us, through any means. And if that is not possible, then they would at least like to be included in the system. Notice the implicit assertion of this argument – if France disagrees with BMD, it’s because they are Russian toadies and belong to ‘Old Europe’ (yes, Cohen actually rescuscitates this term). In other words, those who disagree with us are victims to a shrewd Kremlin strategy. Also, I would point out that we have been using missile defense as a bargaining chip since Reagan realized how useful it was at Reykjavik. “Without a strong and unified response from the West, Russia will be able to maximize its advantages in Eastern Europe and the former Soviet space while minimizing its weaknesses and thereby achieve gains at the expense of U.S. and its allies.” – Does this reasoning sound familiar? This is the celebrated ‘zero-sum’ worldview that guided U.S. foreign policy during the Cold War, and that we often accuse Russia of clinging to now. The BMD shield is entirely aimed at Iran, and Russia’s ‘fantasy’ about Western aggression is irrational. – first, though I do not doubt that all kinds of conspiracy theories live in PM Putin’s head, the official Russian complaint is not that BMD amounts to aggression, but that it changes the strategic calculus in the region. This can hardly be denied – massive, new, advanced military installations will exist where once they did not. 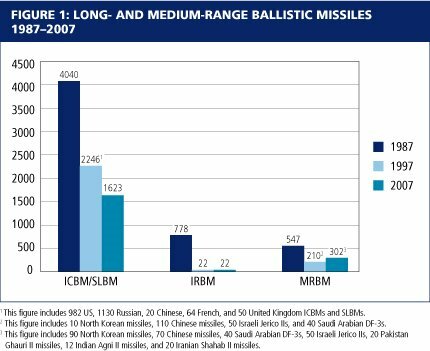 Just saying that the BMD is for Iran does not change the fact that Russia will still have to reassess and possibly restructure its nuclear forces. Also, the whole Iran argument lost credibility when Poland signed onto the BMD agreement in response to the Russo-Georgian War. I do not think Cohen’s arguments were very persuasive and doubt they will find a receptive ear in the Obama Whitehouse. You have to hand it to the Heritage Foundation, though, as they are consistent. They have been one of the most vocal cheerleaders of missile defense ever since Reagan’s Star Wars speech. In this 1985 article, they argue that the ABM Treaty is no bar to missile defense deployment[! ], even though the current push for BMD was preceded by Bush’s unilateral withdrawal from that treaty. Moreover, the Heritage Foundation is currently promoting a slick pro-BMD movie, 33 Minutes, that they plan to release in ‘Winter of 2009’ (i.e., when Obama takes office). The trailer is well-done – excellent production value – and even includes the obligatory quasi-Muslim prayer calling in the background to ensure the the viewer makes the completely fallacious link between terrorism and ballistic missiles. According to the site, the film was inspired by a humble purpose: “We need to overcome the complacency of politicians, the spurious arguments of academics, and the narrow minded interests of government in order to defend Americans from this potential nuclear holocaust.” The use of the term ‘spurious’ is appropriate, as the folks at Heritage do not take kindly to those who disagree with them. What blows me away the most about Cohen’s article and this ridiculously over-dramatized ‘documentary’ is the level of tone-deafness they demonstrate. Cohen strikes me as a serious academic with non-spurious argu ments (he is a doctor after all), but I get the feeling that his article is more political than it is academic, and maybe he’s just pulling his weight at Heritage. Still, the movie, the use of fear to sell an expensive defense program, the demonization of those who disagree – you would think that the people at Heritage would have taken a hint from the election, and realized that everyone is sick of this sort of perverse political discourse. Missing from Cohen’s article? 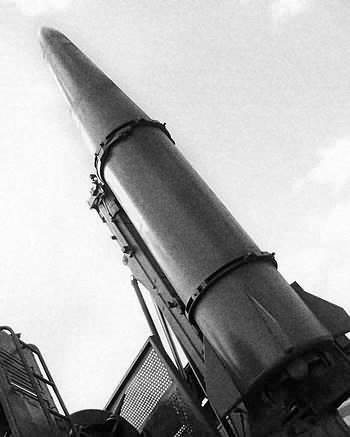 Any discussion of how we could try and cooperate or negotiate with the Russians to address their concerns, or at the very least undercut their argument that we are the aggressors; a definition and explanation of the missile threat; reasons why BMD is the best alternative to guard against that threat and deserving of the government’s finite financial resources; and whether BMD even works. I think Heritage will find more success one it starts addressing these issues rather than how embarrassing it will be if Obama doesn’t ‘stand up’ to the Russians. This entry was posted in ballistic missile defense. Bookmark the permalink.